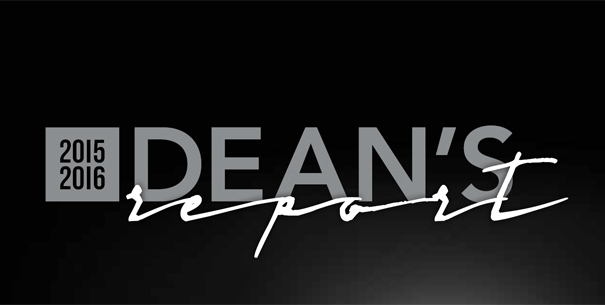 Read about transformative gifts from alumni, the student success center and the new MS in business analytics in this year's Dean's Report. The University of Montana has named Christopher Shook the new dean of the School of Business Administration. Shook will succeed SoBA Dean Larry Gianchetta, who will retire in June after 41 years at UM. Twenty-three Beta Alpha Psi (BAP) students from UM went to Spokane on Friday, April 22, to spend the day with BAP students from Gonzaga and professionals from PricewaterhouseCoopers. Andy Katz and Rick Klein chat with University of Montana Professor Justin Angle about his study on the brand imagery of Native American mascots in professional sports. Take a look at the mascot for the Cleveland Indians, a cartoon with a red face and feather on its head. Result? You're more likely to associate Native Americans with being "warlike." Last month the School of Business Administration Career Development program hosted a Career Networking Reception in the Gallagher Business Buildings piazza. The next time you're buying ice cream in Glacier or Yellowstone national parks, there's a good chance you'll be having Big Dipper. The Missoula-based company is making a new line of flavors called Big Dipper Select for the parks, which will be available when they open this season. The School of Business Administration at the University of Montana will help meet a growing workforce need when it launches its new master’s degree in business analytics this fall. SoBA Information Sessions are mandatory for SoBA students depending on level and status. Other students can obtain their advising number by going to the SoBA Advising Office for an appointment. A student must have an approved schedule from SoBA Advising prior to getting their number. University of Montana marketing, communications and journalism students recently launched UM’s first podcast, titled “32 Campus Drive.” In episode 1, "No Business Like Show Business," they interview Director Mike Morelli about the Entertainment Management program. Anna's Reflection on Pollstar Live! Rows of race bibs from ultra-marathons and bike rides fill one wall of Justin Angle’s office on the third floor of UM’s Gallagher Business Building. The numbers serve as sentimental reminders, each one a personal touchstone for a story of endurance. MIS major Tessa Feemster is finishing her study abroad at the University of Aarhus in Denmark and blogging her about adventures around Europe. Montana’s largest cybersecurity firm, LMG Security, hired five new full-time employees last year for a total of 20 at its downtown Missoula headquarters, and founder Sherri Davidoff expects to hire four to eight more this year. 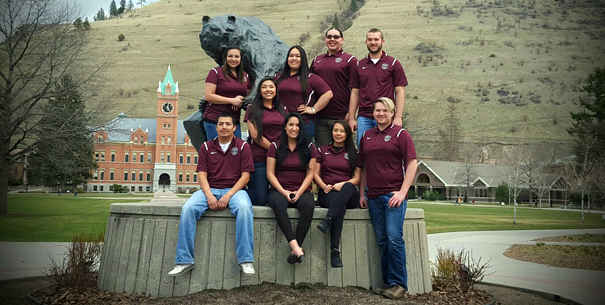 Blackstone LaunchPad at the University of Montana, the Montana Academy of Distinguished Entrepreneurs and the Women’s Foundation of Montana will kick off the second session of the Pursue Your Passion program on Monday, Feb. 22, in the Payne Family Native American Center at UM. The 7th Annual Big Sky Documentary Film Festivals DocShop is a five-day conference engaging Missoula and the documentary community-at-large on the art and impact of filmmaking. The workshops are free all UM and MSU students. UMEM had an exciting fall semester in the classroom and in the community! Read all about the program's events, guest instructors, students and alumni here. Winner of the 2016 ASUM Student Service Award for Charter Day, Byron Boots is a senior graduating this spring double-majoring in Management Information Systems and International Business with an Accounting Information Systems certificate. Brian Knaff, chairman of TBN Entertainment in Las Vegas, calls Montana natives who work on the national scene in the entertainment business the Montana Mafia. The Volunteer Income Tax Assistance program is back this year at the University of Montana.The program started in 1971. It offers free tax help to those with an income of $54,000 or less. James Fay and David Brewer are both graduating seniors in MIS. When it came time to select a project for the capstone course Strategic Venture Management, taught by Prof. Bambi Douma, they both chose the data analytics team as part of the Libby Branding Project. We would like to congratulate Brian Knaff, SoBA alumnus and co-founder of the UM Entertainment Management program, on the release of Long Time Comin’–Lost Sounds from the Treasure State. The University of Montana now has its first endowed dean’s position, thanks to the generosity of two UM families who came together to ensure the school will always have strong leadership. We are offering over $300,000 in SoBA Scholarships for sophomores, juniors and seniors. The application deadline has been extended through Monday, February 8. Apply now! Welcome back, students! Please click here to see important dates and deadlines for this semester. A team of local entrepreneurs that developed a smartphone app to fight skin cancer has won the University of Montana's annual Fall Startup Pitch Competition, a program designed to encourage innovation and entrepreneurship as a viable career path. This is the first in a series of cameos designed to introduce you to the remarkable faculty and staff who dedicate themselves to SoBA students and the Missoula community.